Fantasy Double Bill: Pariah (2011) + Stonewall (1995 version) – two great film about LGBT lives: Dee Rees’ debut feature follows the life of a young American lesbian struggling against family expectations, whilst Stonewall, written by the UK’s Rikki Beadle Blair, is a drama set around the Stonewall Inn, the scene of riots in 1969 that set of the LGBT liberation movement and includes my favourite film quote ever, but I’m not telling, you’ll have to guess what it is. I love the opening scenes of Pariah so much, as Alike changes her look from the prim and preppy to gloriously dikey! 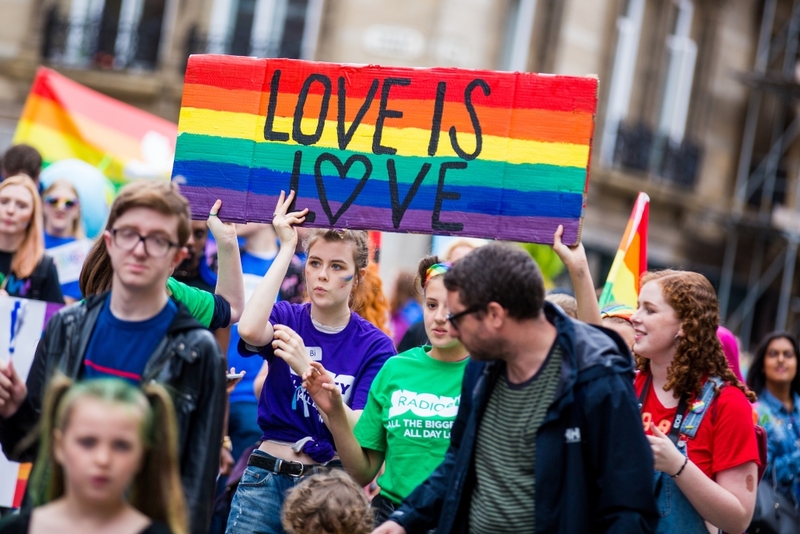 Liverpool Pride is Liverpool City Region’s campaign against homophobia and transphobia. We’ve been screening films for seven years, and like to concentrate on new releases from around the world but breaking out with the occasional camp classic! All our films are chosen by our volunteer group Pride@ThePictures. Signature Move is a brilliant new drama from the USA about lesbian experience, focusing on family relationships, romance and Mexican wrestling! It’s won awards at festivals all over the world, and is written and directed by women. The central character is Zaynab, who’s worried about coming out to her TV-obsessed mum, fascinated with Lucha, Mexican wrestling to you and me, and starting a new relationship. It’s a gem. We usually pair up our features with a short film, so expect a fun surprise on the night. Scalarama is a chance to see exciting cinema, old and new – it’s always a bag of surprises and there’s such passion behind it. I really enjoy the newspaper too – interesting articles by people who aren’t the “usual suspects”. September wouldn’t be the same without it – it’s a shot in the arm for the brain – if you know what I mean! Why should people come to your event? Signature Move has only been seen at festivals so far in the UK – it’s not online at this moment either, so come a long and see brilliant new voices in cinema – Fawzia Mirza is definitely one to watch – and have a right laugh too. What Scalarama event(s) besides your own are you looking forward to? All of them! Although it’s hard to say which I’ll be able to get to – there are 45 of them, and apparently I have to sleep and go to work occasionally! Anything else you want to tell people about? Liverpool Pride screen Signature Move Monday 24/09 at Picturehouse at FACT.